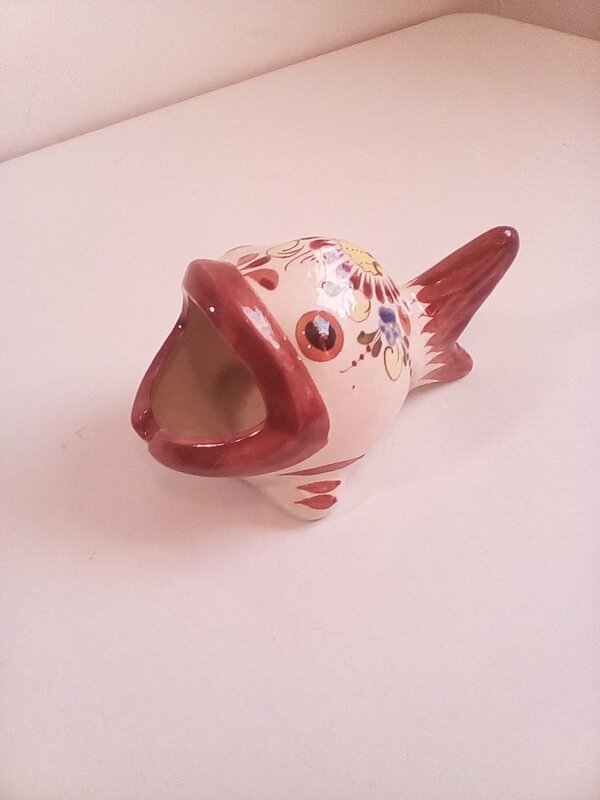 I have had this vintage "big mouth" ashtray for over 35 years in my ashtray collection. I suspect it's from a California pottery, but don't know for sure. It's signed, but I cannot make it out. I do see "cat" and "( - 26". Does anyone recognize it or have any info?